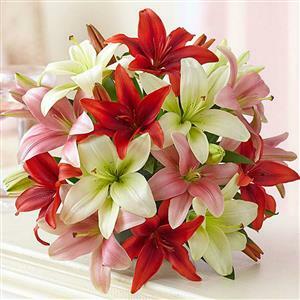 Send 18Pcs Pink White and Red Lilies Bouquet to Chennai. Gifts to Chennai. Send Flowers to Chennai.